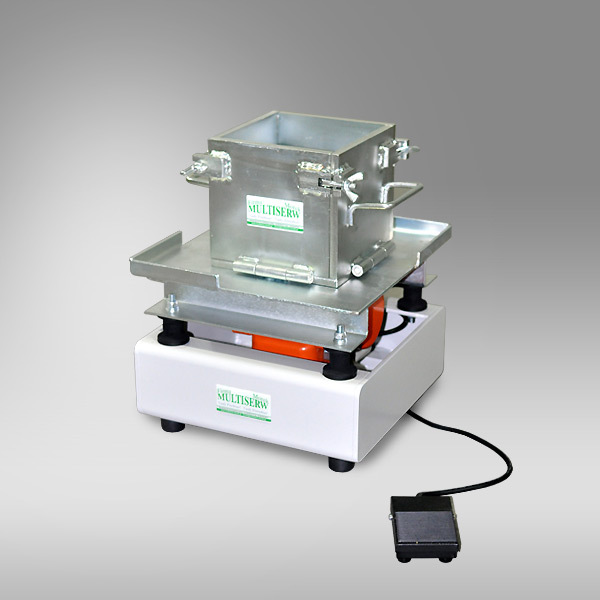 Vibrating table is a compact unit providing controlled vibro-compaction in the laboratory used for cube or cylinder moulds. 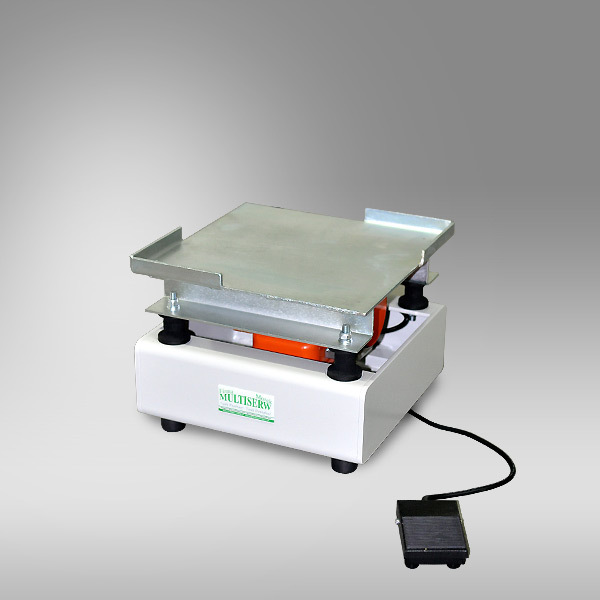 Vibrating tables consists of vibrating motor, control unit and clamping assembly. The table is available in two alternative sizes, 300 x 300 mm and 725 x 400 mm. 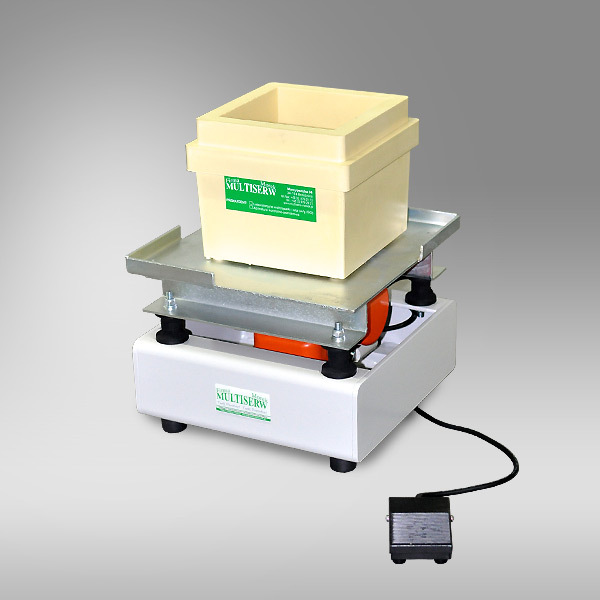 The small table accepts 1, large table accepts 6 cube or cylinder moulds. 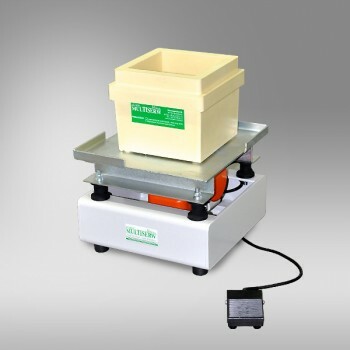 The larger table can also be used for beam moulds. EN 12390-2 Testing hardened concrete. Making and curing specimens for strength tests.